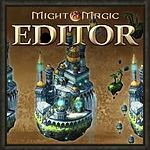 We’re happy to announce that in collaboration with WorldOfHeroes.cz, we are launching a new multi-part guide series for the Might & Magic: Heroes VII Editor. During the series we will introduce the basic functions of the editor and go through step-by-step instructions on how to create a scenario map with different landscapes, objects, scripts and events. We hope the articles will inspire new and returning players to get started on this creation tool and result in many creative map authors! The first part of the article series has been published and more will be available in the near future. Have fun with the editor, and feel free to ask anything that’s troubling you in the comment section. Wow! Marvelous! If you need some help in explaining some tricks, feel free to ask, I will help gladly. hi , just to check, is there any ways to edit unit ability, and stats? i had tried using the editor, and basically they don’t let me change anything at all, also my editor seems to be always not responding, but not the game play, any 1 can advice on this thx! Unit abilities and stats can definitely be modified, with the Unreal Editor mode you can create even completely new creatures. We’ll have tutorials for the Unreal Editor here too after the basic editor articles. How do I get the editor? I installed from Steam and don’t even have a Custommaps directory under my Heroes7 directory. I can’t find any option from Steam or Uplay or Heroes7. Can I search for it? What is the file called? When you launch the game from Steam, you should get a popup window asking you to start either the game or the editor.